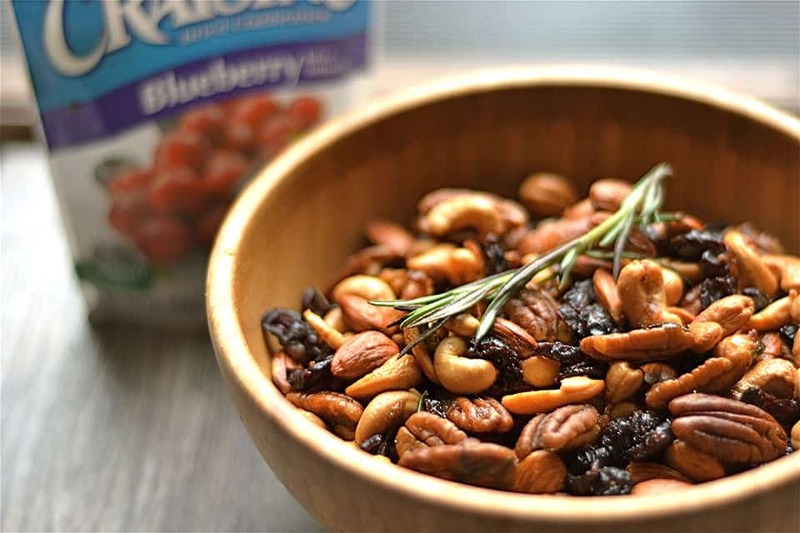 Mixed nuts spiced with chipotle and rosemary, and sweetened with brown sugar and Craisins® Dried Cranberries to spice up your next party! 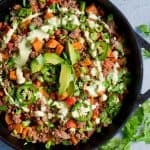 I love the simplicity of this versatile dish that can be used for any upcoming occasion. 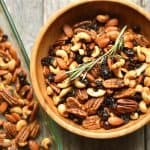 With New Year’s just a few days away, and football games dominating the TV in your house, this snack mix is the ultimate munchie. 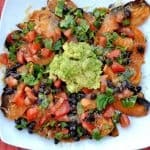 It’s been a favorite of my husband’s for several years when we first tried a similar version at a Super Bowl Party. 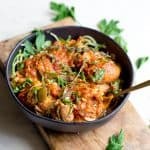 It’s one of his most requested recipes whenever we have guests! We both love the spicy kick, sweet brown sugar, fresh rosemary, and the Craisins® Dried Cranberries Blueberry Juice Infused. 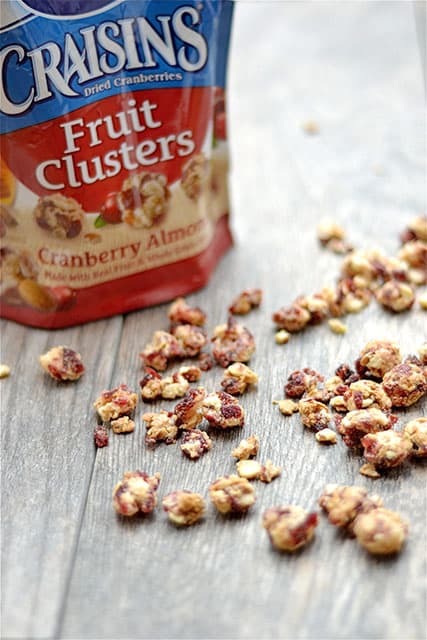 The Craisins® add just the right amount of zing and tang to the the spicy nuts. Allow the nuts to cool. This will be difficult because they are soooo addicting. But stop. 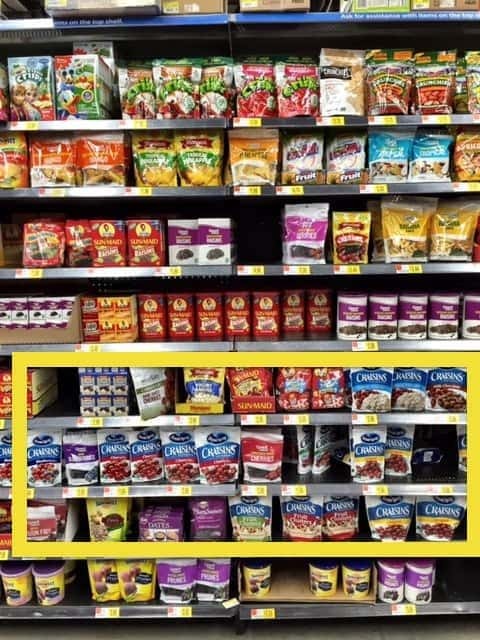 Wait for the Craisins®. I promise it’s worth the wait! 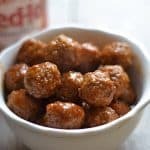 I happened to use Blueberry Craisins® in this recipe, but here’s the thing: any Craisins® flavor will be delicious in this recipe. 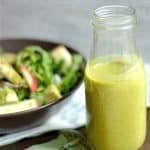 Pomegranate and cherry are also a great addition! I love that each serving of Craisins® also provides a 1/2 serving of fruit. 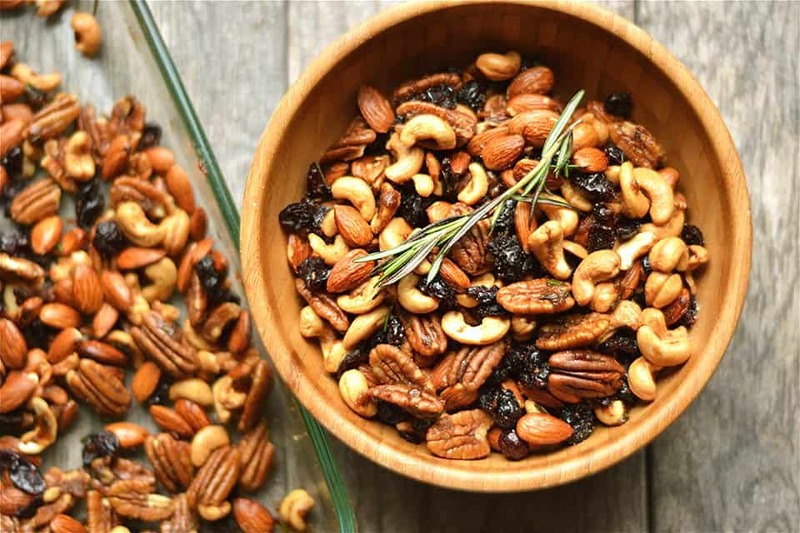 Mixed with the protein and healthy fats of the nuts, this snack is ideal for keeping you satisfied without eating junk. In fact, I just whipped up this batch to take with us on our road trip tomorrow. 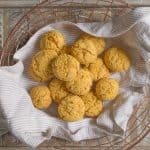 A snack that is easily portable and something my kids are excited to eat! 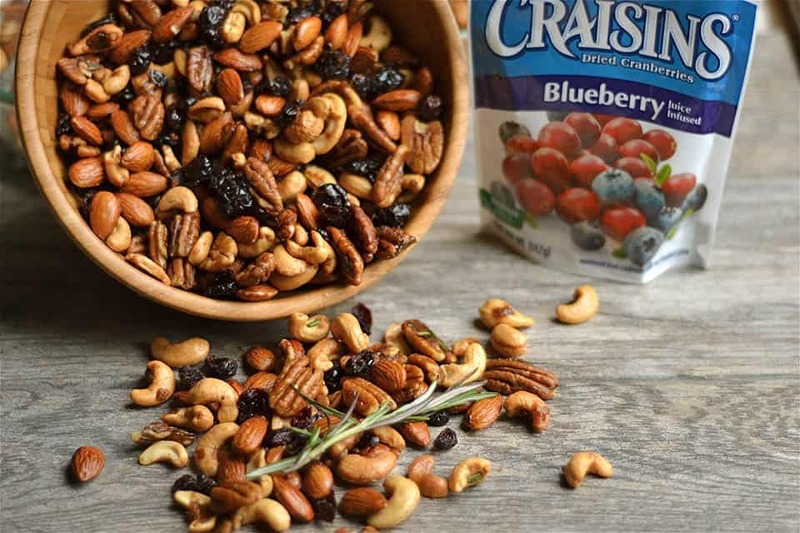 I’d love to hear from you, what’s your favorite way to eat Craisins®? Preheat your oven to 350 degrees. 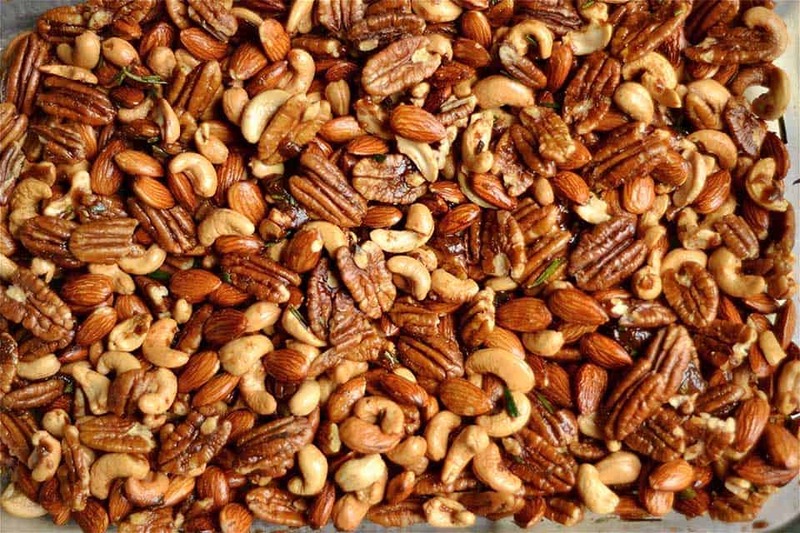 Spread nuts across a large cookie sheet and roast for 10 minutes in the oven. While nuts are roasting, melt the butter. Mix together brown sugar, chipotle powder, cayenne pepper, rosemary, and sea salt in a small bowl. Add melted butter and mix to combine. Place warm nuts inside a large tupperware, or dish with a lid. Add brown sugar mix, and toss the nuts until spice mixture is well incorporated to the nuts. Let cool. The added cayenne pepper will give the nuts a more spicy kick. 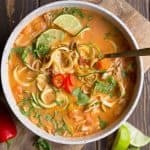 This can be adjusted to 1/2 tsp if you want a more spicy variation, or it can be omitted for a less spicy variation.